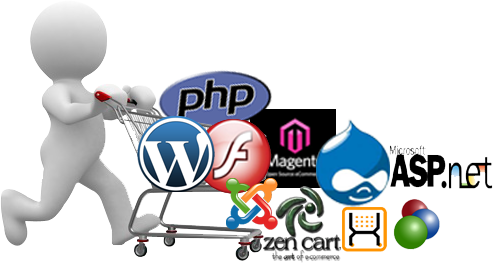 Creation hub, based in Delhi, India, is one of the leading companies that offer complete web solutions. We have done a number of projects for leading brands globally. Our all services meet with your requirements. We have a team of market professionals in which every team member is keenly dedicated to serve our pride customers like you. 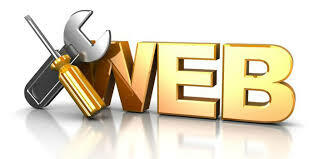 Our mission is to provide you the best website solutions within the deadlines. We are pleased in offering a wide range of services including Website Designing, Website Development, Mobile Apps, Content management systems, Internet marketing, corporate branding, ecommerce solution and many more. Get our services and bring more SEO traffic towards your site. Our services are there at unmatched prices. Creation Hub is the leading web designing company India, which provides high quality website designs. Here, in Creation Hub, we understand the client’s requirement and design website accordingly. We do understand that different businesses have different needs. Before explaining the need and efficiency of CMS development in any type of online business, it is better to expand the abbreviation of content management systems. Well the CMS is used to denote the term content management system. E-Commerce Solutions For thousands of prospective buyers that see your company on the Internet your web site delivers the critical "first impression" of your company. Hire e-aim and you can have a great looking web site that will put you a cut above your competitors. Internet marketing (also known as online marketing) is exactly as it sounds, a way to market your products or services on the internet. Many make the mistake of believing that all it takes to be considered an internet marketer is to have a live website. That is far from the truth. Today, corporate branding is playing a vital role in growing business. Powerful Corporate branding can equip most any new product or service with instant credibility and value that simply can't be reproduced with any sort of product focused marketing campaign. Production of Mobile devices has taken a giant leap in recent times and has been transformed exceptionally into the new improved forms from the traditional cell phones to the modern Smart phones, iPhones and other Mobile devices. The website looks incredible! You have captured the essence of what I have been wanting to project to clients and internet users. I have been truly impressed with the sincerity and professionalism that I have received from Creation Hub Web Design. If you want a professional website that boosts your image, improves your business and draws clients to your site, then Creation Hub is the company for you! I can’t say enough about how helpful you have been and how pleased I am with the results. I want to say thank you to Creation Hub for all your support. Our web site has been a huge success. It has been a delightful experience for me, as well as my company, to use the services of Creationhub. The professionalism they reflect, the quality they maintain and the promptness with which they deliver their excellent services are all praiseworthy and will lead them to greater heights.